Skills required: cast on, knitting, purling, decreasing, knitting in the round, following a simple cable pattern (charts and written instructions provided), yarn over. Construction: This hat is knit seamlessly in the round and features an easy cable pattern on a garter stitch background. 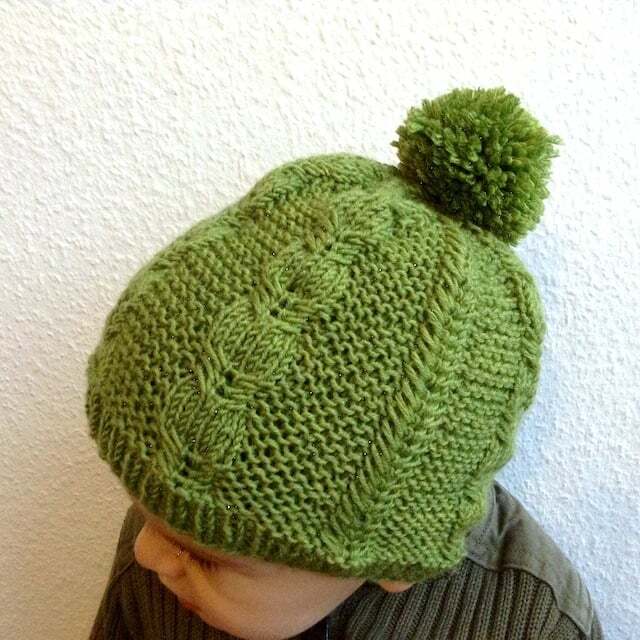 Directions for both a beanie and a slouchier style are included (except for newborn size). Both charts and written instructions are provided to accommodate personal preference. It is also available as part of the Silverfox Hats ebook. For head circumference up to: 14 (16, 18, 20, 22) inches or 35.5 (40.5, 45.5, 50.5, 56) cm. Finished beanie circumference is approximately: 12 (13.5, 15, 16.5, 18) inches or 30 (34, 38, 42, 46) cm.